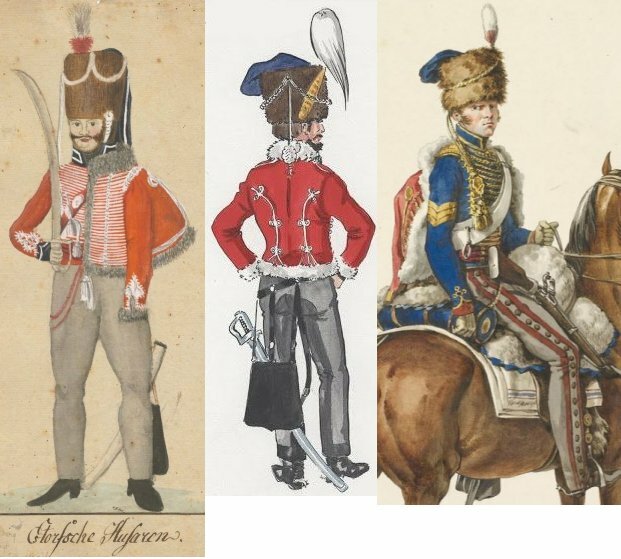 A quick post to cement into Google some tags for my new volunteers page, this time on 1790’s West Yorkshire. Separate to the page on association infantry of the West Riding, this covers the first two waves of infantry volunteers of Barkstone Ash, Bradford, Halifax, Huddersfield, Knaresborough, Leeds, Pontefract, Ripon, Rotherham, Sheffield, Wakefield and York, with some substantial text and over fifty images. Even so, it’s far from the last word, but may be of interest to someone. 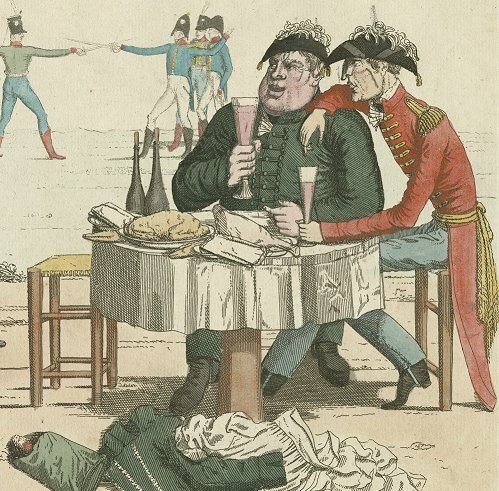 What a pleasure it was to me the other day, when the battalion was so nobly treated by the EARL of MEXBOROUGH, to see you in that state of jovial intoxication, like all brothers, without quarrel or uproar. That was a proof of real discipline; but I would not wish you often to be put to such a trial, for your cloathing on such occasions is sure to carry marks of your conviviality. Teesdale Cockell, Lieutenant-Colonel Commandant, Instructions for the Pontefract Battalion of Volunteers …, Pontefract, 1799.